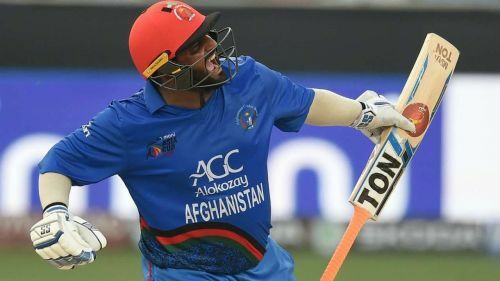 Mohammad Shahzad is a top contender to come in as a replacement in IPL 2019. Afghanistan is one country that has improved steeply in international cricket over the past few years. 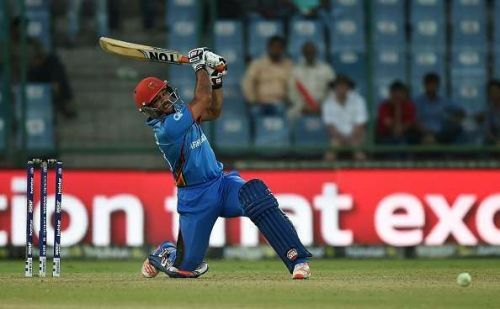 With the emergence of players like Rashid Khan, Mujeeb Ur Rahman and Mohammad Nabi, the belief among the Afghan players that they too can stake a claim on the IPL bandwagon, has risen. The recently concluded Afghanistan Premier League (APL) has given us a fair look into the kind of talent that the country possess. But the fact that no new Afghan cricketers were bought by the franchises in the IPL 2019 auction was surprising. Maybe the fact that the IPL scouts consider the Afghanistan batting to be still sub-par might have something to do with the way franchises have avoided Afghanistan batsmen. But they might want to remind themselves that Mohammad Nabi and Rashid Khan have also had decent performances lower down the order for the Sunrisers Hyderabad. Here in this article, let us look at the top 4 Afghanistan cricketers who have performed well in the recently concluded Afghanistan Premier League and the Caribbean Premier League and could be handy replacements for other overseas players in case of injuries. Shafiqullah Shafaq was one of the cricketers who found his name on the shortlisted IPL auction 2019 list. He is an experienced Afghan cricketer who can also play a role as a wicket-keeper in the squad. With a number of overseas wicket-keepers in demand in the IPL 2019 auctions, an injury concern to one of them will demand similar kind of players, and Shafaq could be a handy replacement. He played some crucial knocks for Nangarhar Leopards in the Afghanistan Premier league under the mentoring of Venkatesh Prasad, who was their coach. He is well-known for his big hitting prowess and neat wicket-keeping skills, which can be a handy acquisition for any IPL team looking for a replacement.